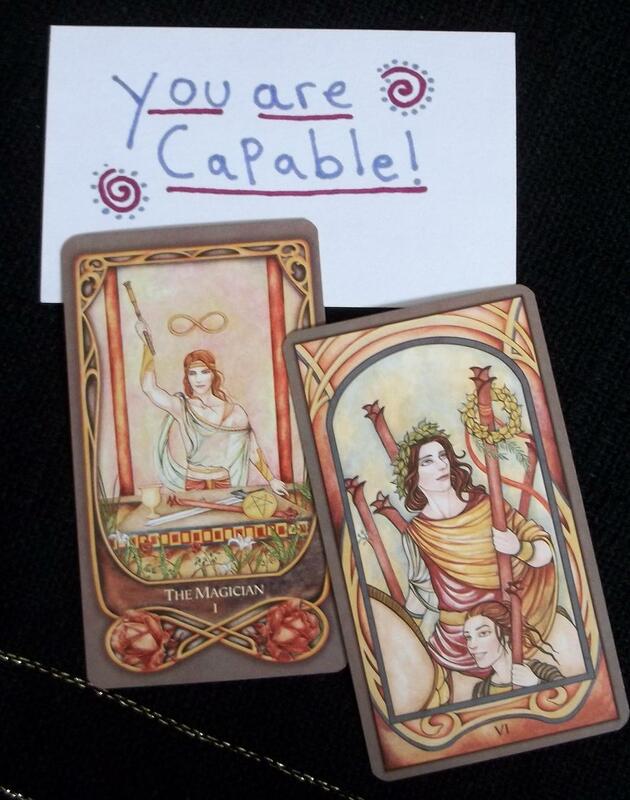 One of the reasons that I love working with tarot is its ability to encourage and empower. Encouragement is something that is seriously lacking in the world, in my opinion, but I feel that it is absolutely VITAL in order for people to thrive. Without encouragement it is so easy to get stuck, it is so easy to doubt, it is so easy to grow discouraged and feel alone. On the other hand even the tiniest bit of encouragement can blow a thing wide open. That has certainly been my experience. I feel like the dominate culture, especially business culture, is so competitive and cut throat that people are programmed NOT to encourage others, because every success by others is seen as a threat to the self. This is so spiritually and emotionally detrimental to us as a species. I feel with all my heart that we need a paradigm shift in this regard. We need to encourage eachother, we need to support eachother, as artists, as healers, as teachers, as leaders, as living beings with our own hopes, desires and struggles. I believe that this is the only way we, as a culture and community, will grow and thrive. When I started working with tarot I didn’t have a clear idea of what I wanted to use it for. The more I worked with it and later on with oracle cards as well, I realized that one of the biggest values of this tool for me was its power to encourage. I haven’t had a ton of encouragement in my life, not until recently when I connected with the online tarot community, so for a long time I had to be my own cheerleader. After awhile that cheerleader got worn out, soon doubts and fatigue set in. The power of the tarot to encourage me through that low period was integral in my ability to rally and push forward, I absolutely believe that. I’ve come to realize that that is a significant part of what my goal with tarot is and my purpose in general, to encourage, because we need more of it in the world, so much more. When I can be encouraging of others I don’t feel like my own success is threatened, instead I feel like I get to share in something that is rooted in the purest form of love and connection, and that is freakin’ awesome. 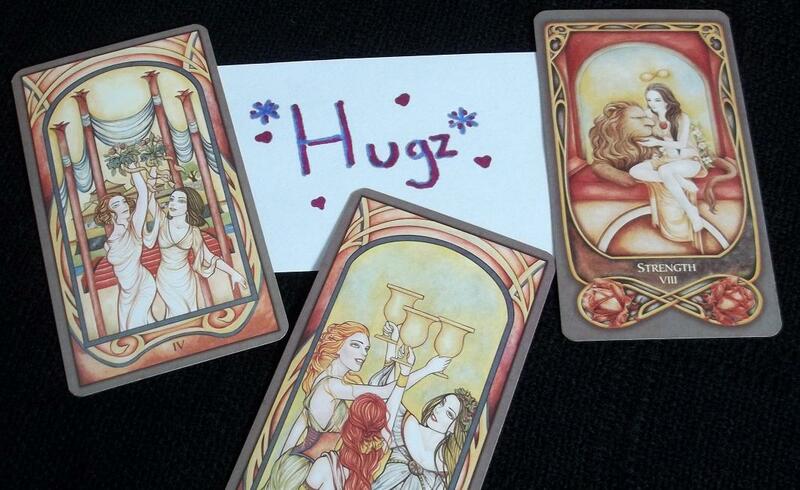 When I work with the tarot, whether for myself or for others, I want to provide hope and encouragement. To find a path through the doubt and frustration, to clear the cobwebs so that the way forward becomes more clear. In order to do that I like to look at the situation, then focus on what advice the cards have, what actions can be taken and what options are available. There is always something that you can do to improve a situation and tarot has an uncanny ability to reveal what that could be. I find that this is a really empowering way to work with the cards. Perhaps in a perfect world, in a perfect state of enlightenment we would all be able to encourage ourselves and be empowered by our own words to ourselves and that would be enough, perhaps, but that isn’t the case for most of us, so having a tool like tarot and using it well, gives us a powerful ally when we need it. Lovely article. I belive in this as well. 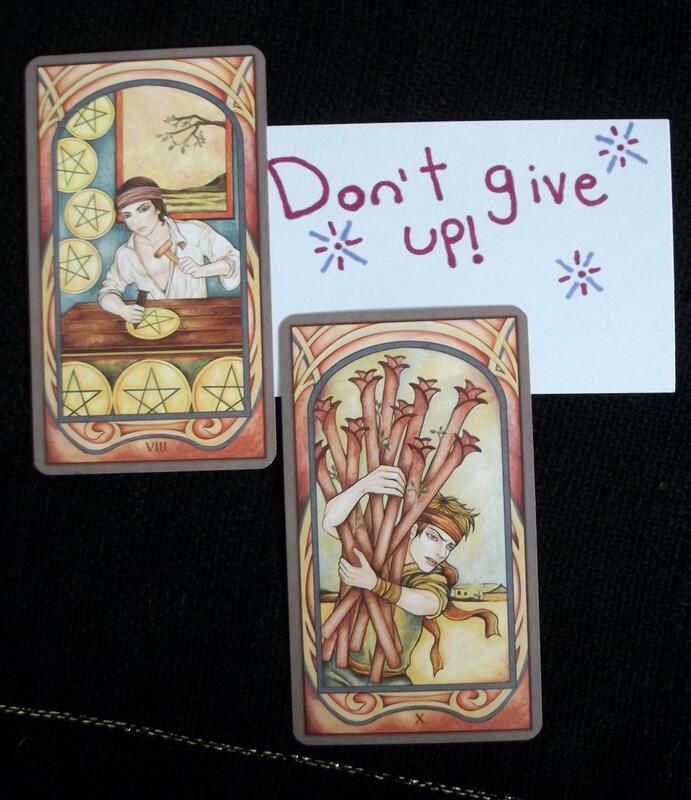 Encouragement thro tarot. Thank u for sharing.